mr eazi pour me water. It took a long time to come, but it’s finally here. Mr Eazi is still relevant and busy even though he is just releasing his first song in the year. 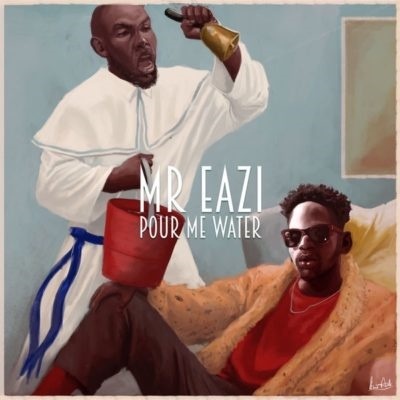 The song entitled "Pour Me Water", comes after the ‘Leg Over’ crooner has given fans things to be happy and angry about. From dropping music videos, and remixing and sometimes getting on the nerves of Nigerians, it has not been a bad year for the ’Banku Music’ originator and serial entrepreneur. In the E Kelly created song, Mr Eazi's sought another hit like 'Leg Over’ and ‘Skin Tight’ with a mid-tempo beat that might actually work in ‘bribing’ his already pissed off fans.